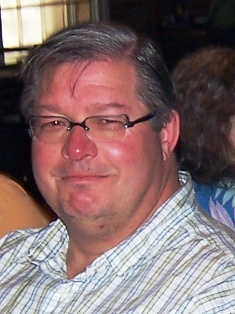 Jeff Gates, Information Services Librarian, joined the Centennial Library, in September 2008. Jeff had served for ten years as the Head Librarian at the John L. Patten Library at Faith Baptist College and Seminary in Ankeney, Iowa. On April 1, Brent Etzel joined the Centennial Library to serve as the Instructional Services Librarian. Most recently Brent was a Reference librarian at Thomas Tredway Library at Augustana College in Rock Island, Illinois. New employees at the Kelvin Smith Library are: Virginia Dressler, Library Assistant – Digital Production Assistant; and Cheryl Seme, Library Assistant- Circulation & Reference. Daymar Colleges Group based in Owensboro, Kentucky, has recently acquired Samuel Stephen College in Chillicothe, and the Southeastern Business College campuses in Jackson, Lancaster, New Boston. David Shelpman, Jr. has been hired as the LRC Coordinator at Samuel Stephen College. Catalog/Metadata Librarian Kevin Furniss has taken a position at Tulane University in New Orleans. Kevin was hired at Denison in July, 2000 as the Catalog/System Support Librarian. Judith Sessions, dean and university librarian of the Miami University Libraries has received the 2008 Distinguished Service Award which is given annually to members of the Miami University faculty or staff who have made a significant impact on the life and mission of the university. Sessions arrived at Miami in 1988 and immediately set a new direction for Miami’s libraries. Her leadership and enthusiastic support for the infusion of technology into all aspects of learning is seen through her involvement in establishing OhioLINK, an online materials resource, research help via instant messaging and a high-tech Thunder Room instructional space. To make the libraries more user-friendly, Sessions’ staff has also greatly expanded orientations and technology workshops. Sarah Frye will join the MU staff in July as Public Services Librarian. She holds an MLS from Indiana University and completed graduate work in history at the University of Kentucky. She comes to MU from Wartburg College in Waverly, IA. Diane Miller, Master Library Associate, retired from the MU staff on February 1, 2008 after serving as the cataloger and acquisitions expert for nearly 17 years. She had a career of nearly 27 years of service to Miami University. Traci Welch Moritz and Alice Essinger have both been promoted to the rank of Assistant Professor at Ohio Northern University. Welch Moritz, Public Services Librarian, received her MLS from Indiana University in 1991 and has served ONU’s Heterick Memorial Library since 2004. Essinger, Catalog / Serials Librarian, received her MLIS from Kent State University in 2002 and has served ONU’s Heterick Memorial Library since 2005. The Ohio State University at Lima has a new hire. Jennifer Carpenter is the new serials/ILL library associate. She worked in the Lima Campus Library as a student for 3 ½ years, and graduated from OSU in 2007. Scott Seaman accepted the position of Dean of Libraries at Ohio University. Scott, who was formerly the Associate Director of Administrative Services at the University of Colorado, Boulder, began his tenure at Ohio University Libraries on April 1st, 2008. Ohio University Libraries also bid farewell to retiring employee William Rhinehart (Assistant Dean for Technical Services) and welcomed Amy Meeks (Cataloging Library Associate). Those leaving OU for other positions were Whitney Winberg (Electronic Resources Librarian), Susan Foster-Harper (Health Sciences Reference Librarian), Samanthi Hewakapuge (Health Sciences Reference Librarian), Eun Chin Lee (Non-English Languages Cataloger). Associate Dean, Dr. Roger Durbin, is retiring this summer after more than 30 years of service to the University Libraries. Roger plans to enjoy his retirement writing screenplays and running marathons. Congratulations, Roger! Happy retirement! Ms. Bonnie B. Chojnacki will be joining the faculty of the University of Akron Science & Technology Library on May 19, 2008. Bonnie’s appointment is Assistant Professor of Bibliography and Life and Allied Health Sciences Librarian. Bonnie has worked at the Community College of Allegheny County; the University of Maryland, College Park; and Carnegie Mellon University. She has significant experience as a research biologist and as a librarian. Ms. Tammy Stitz will be joining the faculty of the University of Akron Science & Technology Library on June 1, 2008. Tammy’s appointment is Assistant Professor of Bibliography and Applied Sciences Librarian. Tammy has a bachelor’s and master’s degrees in electrical engineering and recently received her MLIS from Kent State. She worked in industry for several years before discovering her “true calling” in librarianship. Diana Riemenschneider [riemends@yahoo.com], formerly of Clermont College, co-authored an article in the Spring 2008 AURCO Journal with Professor Widanski (Clermont College) titled “The Effect of Library Training on Scientific Writing in Organic Chemistry Class”. Diana has a BA in Mathematics, and an MLIS with an emphasis on Information Science. She was a Visiting Librarian for 2 years at UC’s Clermont College and prior to that a director of MIS services for social service organizations; she has also been an adjunct instructor for Computer & Information Science classes at UC for about 12 years. Mark Horan, Suhasini Kumar, and John Napp. (2007) “Enhancing library instruction: Creating and managing online library tutorials for a wired generation.” In Our New Public, A Changing Clientele. James R. Kennedy, Lisa Vardaman, and Gerard B. McCabe, editors. New York: Libraries Unlimited. pp. 90-103. UT librarians Brian Hickam and John Phillips also had a chapter in this book. Alex Pittman received the Wright State University Presidential Award for Excellence for 2007-2008. Alex’s award was as an Unclassified staff member, additional awards were given to classified employees and others throughout the university as well. This entry was posted in Vol. 26 no. 2 (Jun. 2008) and tagged People & Library News. Bookmark the permalink.